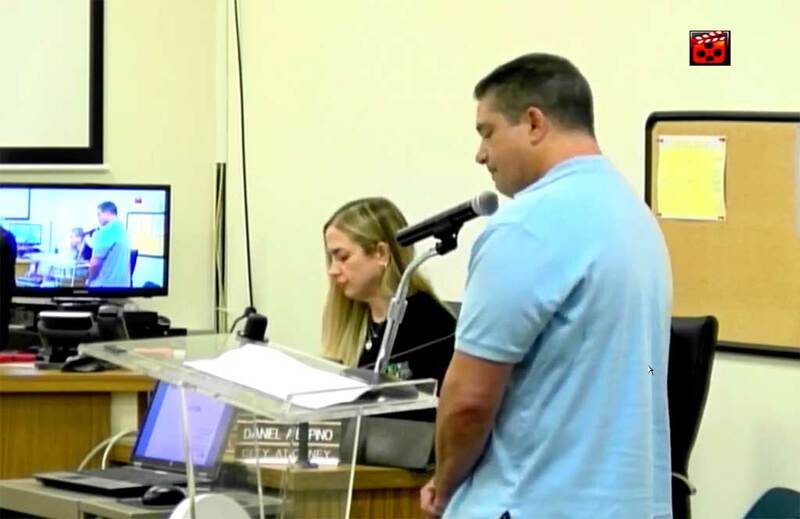 The following letter was submitted to MiamiSprings.com by Miami Springs resident and business owner, Ray Rodriguez. Mr. Rodriguez owns and operates the Ray’s Taekowndo Center on the Circle. My name is Ray Rodriguez. I moved to Miami Springs in the summer of 1976, I was ten years old. I attended Blessed Trinity School, Miami Springs Middle School, and graduated from Miami Springs Senior High in 1984. I grew up in the Springs (VG) playing optimist football and soccer. I worked two years as a volunteer at Miami Springs Recreation Center Summer Camp from 1978 – 1979. In the summer of 1980 I was hired as a leader and worked with the toddler program. Every summer I worked the camp and went from being a leader to being in charge of the Toddler program as well as the day camp for the older children. There are many adults who approach me to this day thanking me for teaching them to swim. Eventually I worked year round supervising the field and gymnasium. In 1986, I was approached by the assistant director Joan Shellnut to start a Taekwondo program and thus Ray’s Tae Kwon Do was started. I married and raised a family here. My children grew up here going to the local schools and playing organized sports in the city. I currently live at 1255 Starling Ave and have owned that home for the past 30 years. I have managed to run a successful business in Miami Springs for thirty-three years. I say managed because running a successful business in Miami Springs is no easy task. I have seen over five thousand students walk through these doors. Students from Ray’s have gone on to graduate from such prestigious universities as Harvard and WestPoint to name a few. We have produced hundreds of state, national and international champions: even putting members of our community on the US National Team. Everyone who has been to Ray’s Tae Kwon Do left a better person. Ray’s Tae Kwon Do provides a great community service, changing the lives of all my students young and old and for that I am extremely proud. We offer Taekwondo instruction for ages three and up as well as an after school program and camps for teacher planning days, spring and summer break. Many residents rely on our services to provide their children a safe and structured program where their children not only learn a martial art but learn disciple, respect and how to be successful members of our community. Ray’s Tae Kwon Do not only produces champions but more importantly creates leaders. We all know how important this is in this day in age. Just ask anyone who has walked through these doors and they will attest to how important this has been in their lives. Not only do we provide these important services but we also provide many jobs to our local youth. Many children have grown up through our programs and later as young adults find summer and part time jobs. The many skills they learn working for Ray’s prepares them for future success elsewhere. I moved to my current location around 1993. Ray’s Tae Kwon Do is one of the oldest businesses in Miami Springs. I can only think of only one other business that has been open longer with the original owner and that is Roman’s Pizza. As a successful business owner, I have a better insight than most to what it takes to thrive here. As a resident who has been here for forty-three years, I know this community and have a vested interest in it. As I previously mentioned, this is a very difficult city to do business in. I have faced many challenges throughout the years but none as great as I am about to face now. The proposed retail / apartment complex will greatly affect my business. I am not against change. The circle and business district here has been in bad need of change. Having a downtown area that supports its residents has been greatly needed for years. Our business district looks run down and businesses come and go. I attended the last planning and zoning meeting and listened to them state studies how neither traffic nor parking will be affected. In theory everything makes sense but living and working here tells me otherwise. 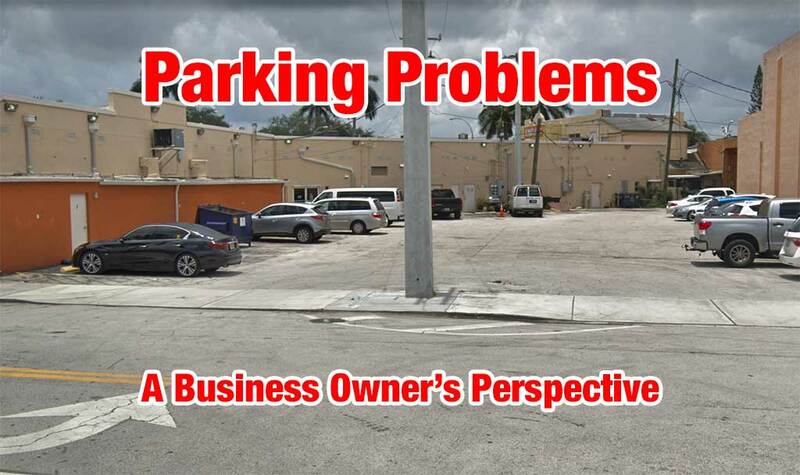 There are many obstacles businesses face in Miami Springs. The two greatest challenges businesses have today is the traffic and parking. There is not enough parking now. The parking garage is great but will not even provide the necessary parking for the new residents and the retail stores. Two and three bedroom households will have more than one vehicle. That’s a fact. What about visitors? Where are they going to park? Numbers do not lie. Do the math. More residents and more businesses equals more traffic and less parking. The other point brought up in the meeting is that the residents of the apartments will be the ones using the retail stores and therefore will not create additional traffic and parking problems. This assumption cannot be further from the truth. Just look at Main Street in Miami Lakes. There are many vacant store fronts. Truth of the matter is that during the day these residents are either at work or school and unable to support the local businesses. In the evenings after getting home from a hard day at work, most parents must then face the task of helping their children with their homework. Most residents would only use the businesses occasionally: not enough to keep them in business. In order for any business to thrive they have to rely on people coming in from outside. Another example is Doral City Place. In the short time it has been open several businesses have already come and gone. The business must rely on customers other than the apartments to sustain them. The difference there is that they have two huge parking garages that accommodate their parking needs. The new project will eliminate the parking behind my current location. It was stated at the meeting that it was always considered an alley: that those parking spaces are not there legally. I used to go to the circle theatre growing up. That area has always been used as a parking lot. 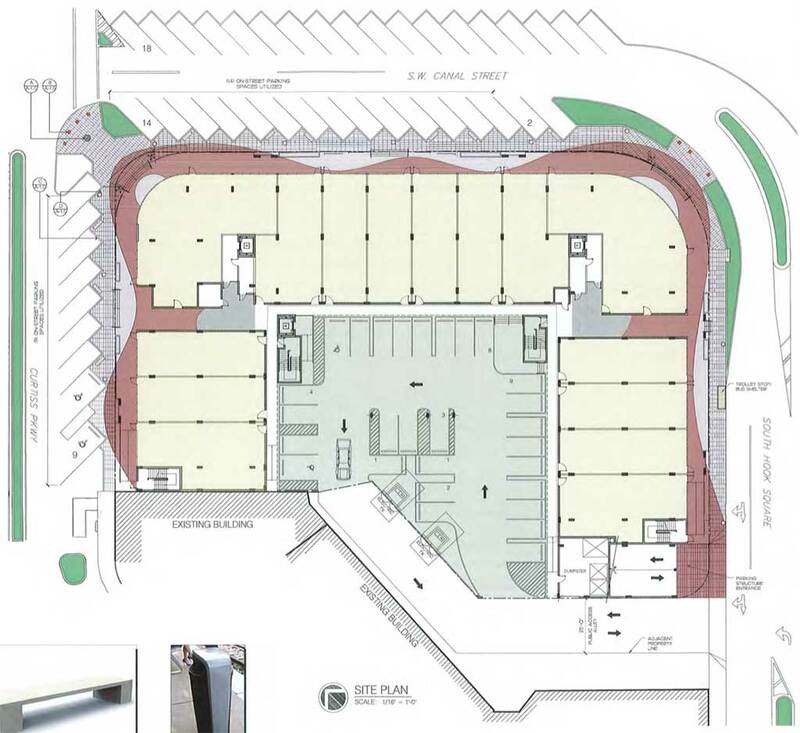 Eliminating the parking will greatly affect all the businesses not to mention access to them. There is a statute in Florida that the council may not be aware of and needs to consider. The Prescriptive Easement common law may very well apply here. “An easement by prescription creates a right in someone else’s land. There are certain requirements to create an easement by prescription in Florida.” The following requirements all apply and are met in this situation. The adjacent building where my current business is located is for sale. What happens when they sell the building and they want to do the same? It only makes sense that they will. As a matter of fact, aesthetically it would be better because everything will have a uniform appearance. There is no room for another garage, so where do those people park? Has anyone taken this into consideration? What about the impact on traffic that will have? Were these issues considered in their parking and traffic studies? At the meeting they stated that the parking study concluded there is plenty of offsite parking. Where? Canal Street? If you drive down canal street at any given time most of those spots are taken. The parking lot behind the farm stores? Although it is true it is posted as public parking, more than half of those spots are taken by the residents of the apartments. The public parking lot behind on the north side of Westward Drive is three quarters reserved for police and city vehicles. So where, I ask is all this off-site parking they are mentioning. Have they taken this into consideration? Have they thought about the traffic created at rush hour when my parents must pick up their children from the front of my school? Would you want your child to walk half a mile to get to your car? Imagine that you have been fighting traffic to get to pick your child up on time, struggle to find parking then have to walk fifteen minutes to get your child and then walk back to the car. What happens when it is raining? People will not do that. I tell you what will happen. Right or wrong they will stop their car on the circle in front of my business and get their child. Now what happens with the other parents? They will be backed up in line to pick them up creating a worse problem than we already have. Walking around the circle is not even safe. Imagine the back-up created when you force people to walk across the incoming and outgoing bridges to get from off-site parking to the business they wish to patronize. In order to be successful in life you must adapt, improvise and overcome. This is something all successful business must do. The future for my business at its current location is doomed. The problem is there is nowhere in Miami Springs to go. Ray’s Tae Kwon Do Center has moved three times in the past thirty-three years and is where it is today because it served the needs of the business and the community. I hear many proponents talk about progress. That change is good and I agree. However, not all change is progress. I ask this question. Is forcing a successful business to close progress? Is taking away something that has been so vital to the community progress? As I previously mentioned, I am all for change. We need it. I feel that this is being rushed without considering the affect it will have on the rest of the community. The city needs to come up with other solutions for adding additional parking garages and off-site parking. There needs to be a safe and efficient way to get from parking to the businesses. The traffic created by this must be addressed. I believe we are all being very short sided, thinking only in terms of one building and a few new stores. This has an impact that goes much deeper than that. I don’t have the answers although I have many ideas. That is why we elect our public officials. They are supposed to stand up for its residents and look at the whole picture. Provide the city the services, facilities and decisions that support all its residents and businesses. Our great city is about to drastically change. For good or bad this is the reality. How it is to change is up to our city council and all the residents of this beautiful city we all call home. If you would like to submit a letter to be published on MiamiSprings.com, email editor@MiamiSprings.com. Next article2019 Festival: Great Weather – Great Friends – Great Food – Great Fun! I agree 100% regarding the traffic and parking problems you are talking about. I was touched and will be very sad if your business will be in trouble because I am one of the parents that were grateful to what you and your done to our son. He became a better person because of your influence and training for hard work and discipline. We are from the outside of Miami Springs resident and already experienced the parking problems in your area even ten years ago, much more at the present time. Hoping that the parties involved are considerate enough to address this problems. Good luck Mr Ray we are forever grateful to you and your school.